Firstly, I loved the packaging it just looks so crisp and fresh, so I was instantly excited to try it (yes, I'm one of those people who always gets excited about the packaging!) 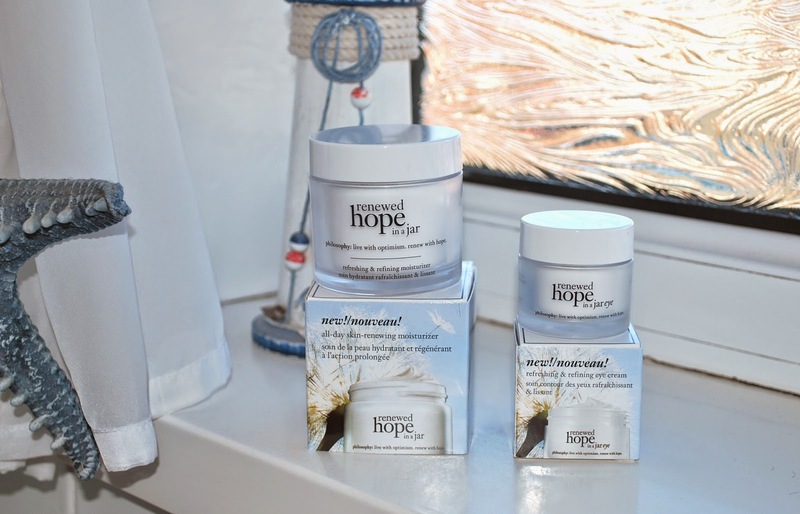 One of the main things I realised about the Hope in a jar moisturiser was the substance was much thicker than the original which made me a little unsure at first, as I don't like anything thick on my skin especially cream. But as soon as I applied it, it surprised me and I love the texture much better than the original, it sinks right into the skin, leaving it feeling light and fresh, plus a little goes a long way. 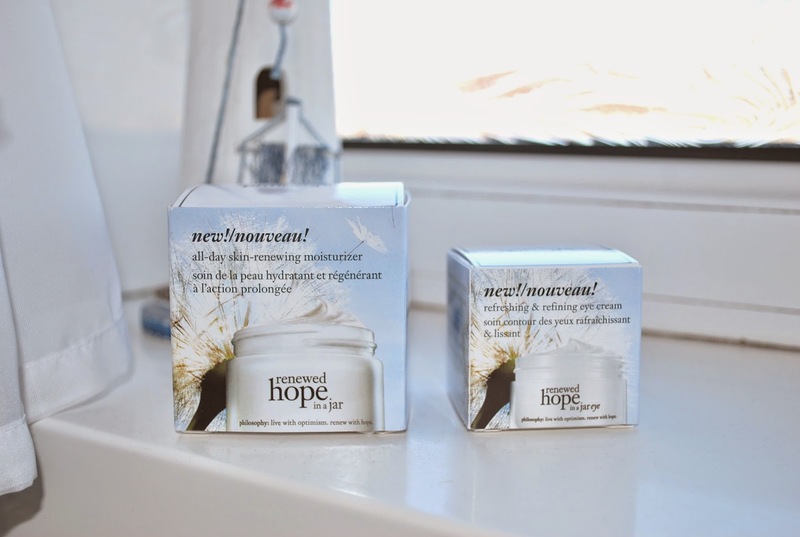 I have also been using the Hope in a jar eye because I have to be honest, eye cream is something I am not consistant with and I really want to change that (no more slacking!) I am not one for using eye creams regular and haven't purchased a huge amount, so I can't say I have seen huge benefits or can compare to many other products I've used, but it does leave me feeling awake and refreshed and I'm hoping more changes will become noticeable as I continue to use it. I must admit I was a little worried when starting to use this with having oily skin because I don't need lots of moisture but I am really happy with how the product works with my skin. I don't feel super oily or shiny and it feels smooth and silky on my skin without any residue. I've been using it everyday for over a week now and my skin looks and feels much better. I definitley think I have been neglecting it with using so many matte products recently but my skin is so much clearer and healthier after using these products, I can actually see a huge difference in such a short time. Another plus side for the product is the smell, it is lovely and so refreshing compared to the original product which I find the smell a little over powering so I am really pleased with this scent. I have loved Philosophy products for a long time but have been trying other skincare products over the past couple of years. But now they have brought out these products I will definitely be sticking by them, especially through spring and summer! The only downside is I wish it had an SPF, so I didn't have to wear more products on my skin. 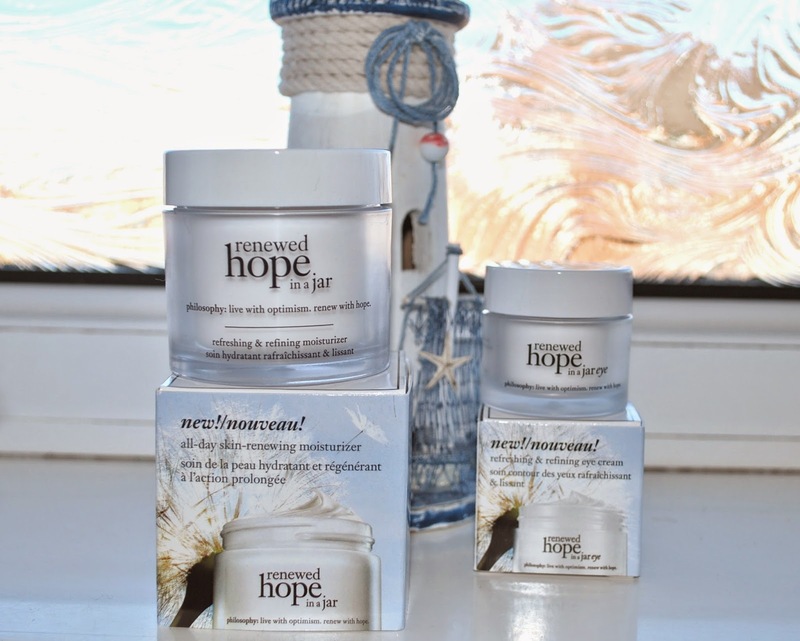 But overall, it has made me realise no matter what skin type you have it always needs some hydration and Hope in a jar is working it's magic on my skin, ready for those sunny days where you want to wear less or no makeup and still feel great!